Jesus thus taught that in order to have true authority, one must first be under authority. The centurion in Matthew 8 was accountable: “I myself am a man under authority” (v. 9). In that state of being “under authority” he exercised authority: “with soldiers under me. I tell this one, ‘Go,’ and he goes; and that one, ‘Come,’ and he comes. I say to my servant, ‘Do this,’ and he does it” (v. 9). The centurion exercised sound authority because he was first under authority. Consequently, he was able to recognize the true authority of Jesus: “just say the word, and my servant will be healed” (v. 8). Accountability is central to character and to effective leadership. Leaders are given trust by their communities. To accept a leadership role is to receive trust from one’s community. The task of Christian leadership comes with high standards – the highest, we would hope! Therefore, some form of accountability must be in place to measure whether or not such standards are being adhered to by the leader and whether the trust his community has given him is being honored or abused. Even Paul, the great apostle, was accountable in his ministry. Too often, people think of Paul as an independent ministry. But Paul was sent out by the church at Antioch (Acts 13:3) and he remained accountable to that spiritual community throughout his ministry (Acts 14:26-28; 15:2-3, 35-40; 18:22-23). Moreover, Paul willingly made himself accountable to the leaders of the church at Jerusalem, from whom the Gospel had come initially (cf. Gal. 2:2). Integrity of life – truthfulness in word and honesty in action. A high moral and ethical standard of behavior. Integrity of motive – seeking the highest good of the community before his own benefit. Financial integrity – abstaining from personal gain in community matters and providing appropriate reports. Organizational integrity – ensuring that right systems and relationships are in place and maintained both within (e.g., accounting, legal systems all in place) and without (e.g., relationships with the government) the organization. Integrity of doctrine – all teaching and doctrinal positions must be sound. Integrity of decisions regarding the community – putting the will of God first before all temporal expediency and gain. Integrity of relationships – working through conflict with people and not using one’s power to settle personal issues. Integrity of accountability – relationships of genuine accountability must be in place, not merely the form of them. 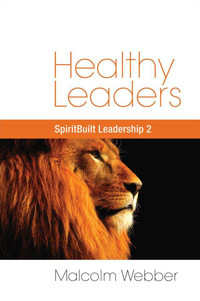 Healthy leaders will be accountable ones! 1 From Accountable Leadership by Paul Chaffee (1993), pp.8-9.